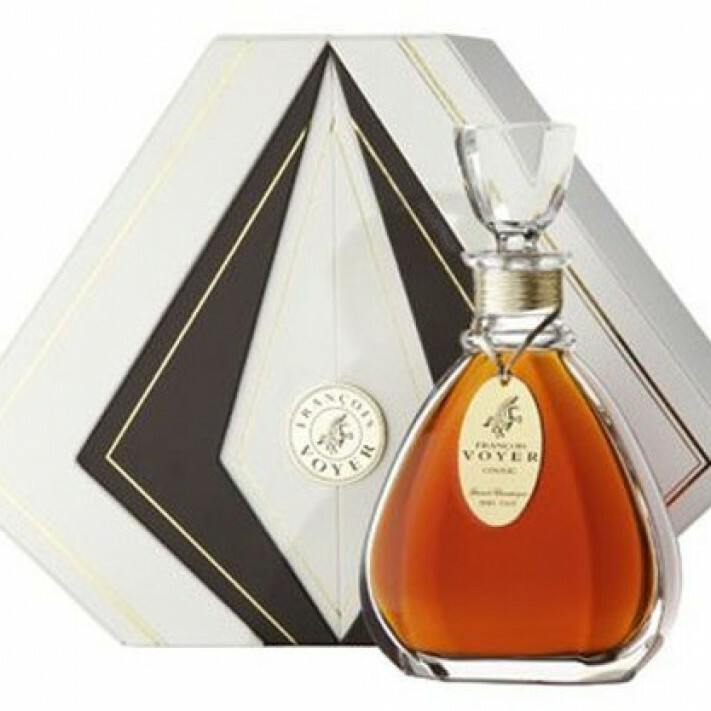 Hors D'age Francois Voyer Grande Champagne Cognac masterpiece creation of 100% Grande Champagne eaux-de-vie. This special cognac encapsulates the quintessential flavors of the Grand Champagne. It is a symphony, a musical score of refined notes, including those of coffee, chocolate, wax, leather, cloves, and cinnamon. Dark amber in colour, this is a forceful cognac whose complexity lies in the mists of your imagination, so that even after many minutes on the palate, new flavors are still being exposed and unearthed; dark truffles, woodland berries, spicy pepper and warm vanilla. The complexities are beyond imagination and the aftertaste is staggering; so take a trip into the dark and fiery heart of the best of Grand Champagne. It goes without saying that such a delight must be enjoyed at your leisure. After all, one can't hurry a cognac whose age is measured in half centuries! Pour it and let it stand for a full 15 minutes before tasting. Sip slowly and let the bouquet and flavors unfold and develop. Taste the passing of the years in the warm cocoon of the ancient oak barrel, and the darkness of the cellar. My palate fell in love with this dark, deep dram. Beautifully layered with dark fruit, spice and wood...this is a smooth, complex cognac that demands a solid amount of hand-held attention and warmth before slowly giving up its secrets. A very powerful and intense hand-crafted work of liquid art: this is a cognac that Zeus himself would savor in one hand, while clutching a dozen thunderbolts in the other.